The MP for our Thornbury and Yate constituency is Luke Hall (Conservative). In the EU referendum he campaigned for Remain. After the vote Luke said he would respect the result as it had been a democratic decision. Fair enough. However, over the last two years it’s become clear the referendum wasn’t democratic - both sides made misleading statements. And the Electoral Commission has since found the Leave EU and Vote Leave campaigns guilty of cheating, and referred the matter to the police. 1. Luke knew that 73% of those in a Sept 2018 YouGov poll thought Brexit was going badly. 2. 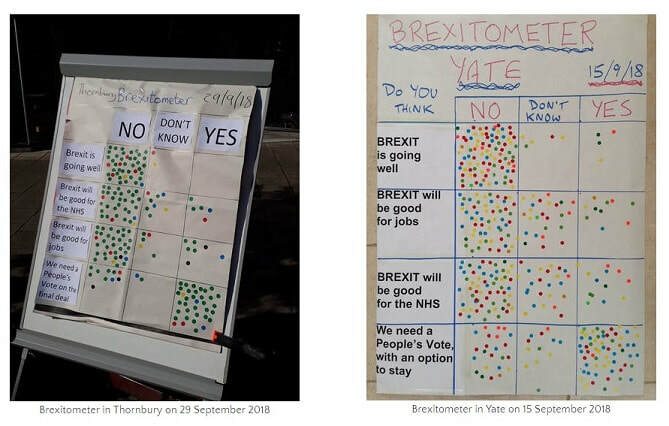 Luke was aware of the research by Best For Britain and Hope Not Hate in August 2018 showing a switch in Thornbury & Yate to 51.5% Remain and 48.5% Leave (with a similar thing happening in 100 constituencies). We presented our recent Brexitometers, which show huge support for a people's vote in the constituency. And we asked for a public statement from Luke on whether he supports a People’s Vote. by publicly outing him as gay. Incredibly, this was done via a statement from the Prime Minister's office. ​Did voters really understand this sort of detail back in 2016? 3. We also we wonder if, when MPs are given a vote on the final deal, Luke will really vote in the best interests of his constituents and the country. Why? Because Luke recently became Parliamentary Private Secretary to Brandon Lewis. In a crucial parliamentary vote on Brexit last July, Brandon Lewis broke a long-standing, cross-party parliamentary agreement on vote pairing. This is an arrangement between two MPs of opposing parties that allows them, with the agreement of the party Whips, to miss occasional votes in the House. When the two MPs agree to miss a vote, this effectively cancels out each other's vote, so neither MP need turn up. ​So if the man Luke now works for behaves like this, how will Luke vote on Brexit in the coming weeks, when the pressure is on? Will he follow his conscience or follow orders from above? Constituents or career? They were most worried that Brexit could cause staff shortages, longer waiting times and funding cuts. 105 UK local authorities that saw a majority of voters vote leave in 2016 would now vote Remain. In South Gloucestershire only 46.3% would now vote to leave. In 2016 this was 52.7%. 2. The Electoral Commission refers Arron Banks to the National Crime Agency for suspected criminal offences during the referendum. 3. The Information Commissioner announced a £135,000 fine to Leave.EU and Banks’s company Eldon Insurance after they shared mailing lists without consent. 4. YouGov surveyed over 25,000 electors throughout Great Britain. In the 631 seats surveyed (all but those in Northern Ireland) it found that in 575 constituencies there is majority support for a People’s Vote, once “don’t knows” are excluded. In Thornbury and Yate this was 54% in favour and 46% against. ​​2. 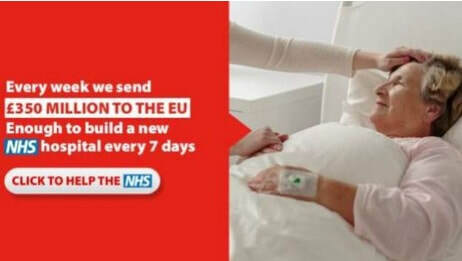 Channel 4 news provides evidence that less than 24 hours after the murder of MP Jo Cox during the referendum campaign, Brexit funder Arron Banks ignored the agreed campaign suspension. Instead he ordered his Leave EU team to increase the spend on social media advertising. 3. Vote Leave drops its appeal against the Electoral Commission’s ruling that it broke the law by channelling hundreds of thousands of pounds of donations to an ostensibly independent campaign group, BeLeave. 4. Luke Hall continues to support the government in every Brexit vote. Please contact Luke now and ask him to support a confirmatory vote on the final Brexit deal. The next few days are crucial. A hand-written letter is best. You can also create a personalised letter here.